I've followed Kevin Hart on Twitter for some time now. He works for WVU University Relations, which is where I just recently started. 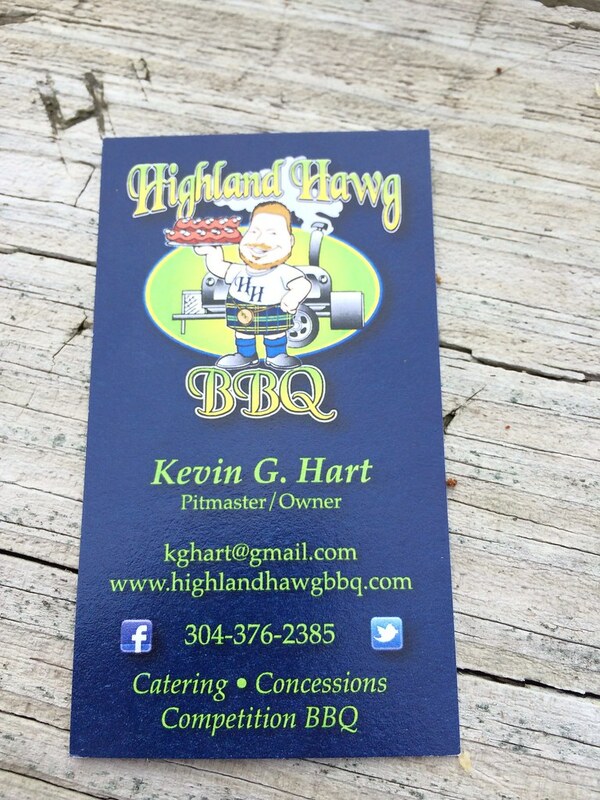 But in addition to that, he has started this BBQ food stand and catering business that I had been dying to try. 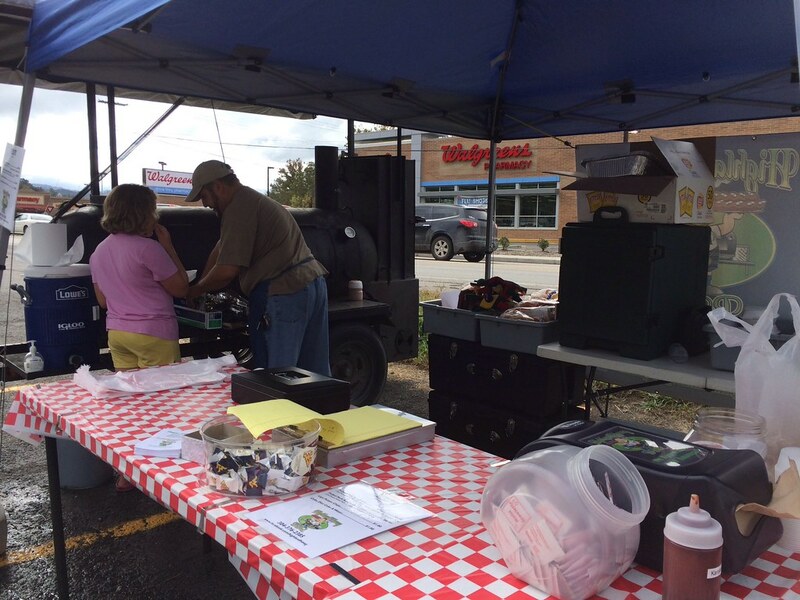 Hart has been selling pulled pork sandwiches on select Saturdays at a tend in CSC Home & Hardware's parking lot in Sabraton. 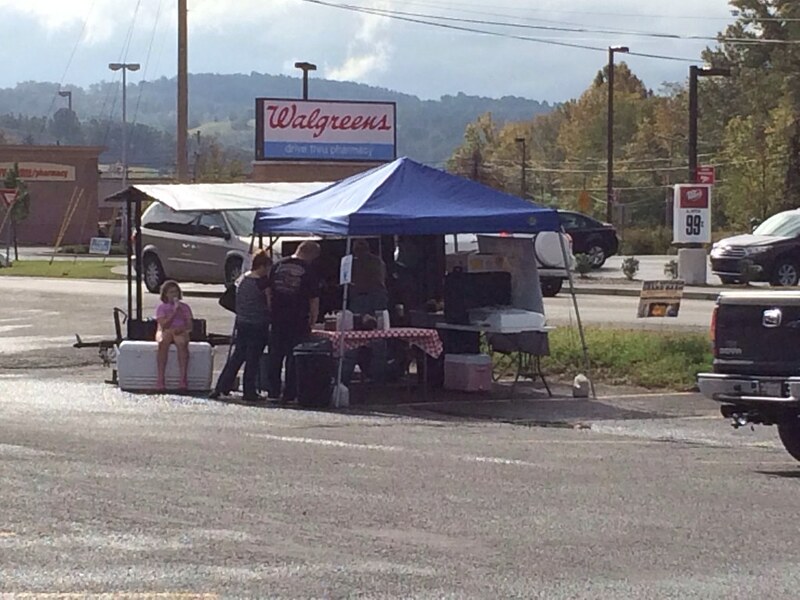 It's not every Saturday, and it's usually only from 11 a.m. until 3 p.m. or until it's sold out. Check out his notes on Facebook for the up-to-date schedule. * One Pound feeds approximately 3-4 adults. If you've got ravenous teens or hungry fellas you might want to get extra. One of the first weekends I was back in town, I was determined to get one of those sandwiches. I just so happened to pick a lucky Saturday and made sure I was out and about early enough to swing by in case he sold out early. I officially met Kevin in person for the first time as he handed me a piled-high pork sandwich. He was selling slaw for an additional charge, so I opted for that, plus a side of chips and a water. It all comes in a nice little styrofoam container so you can take it where you please. 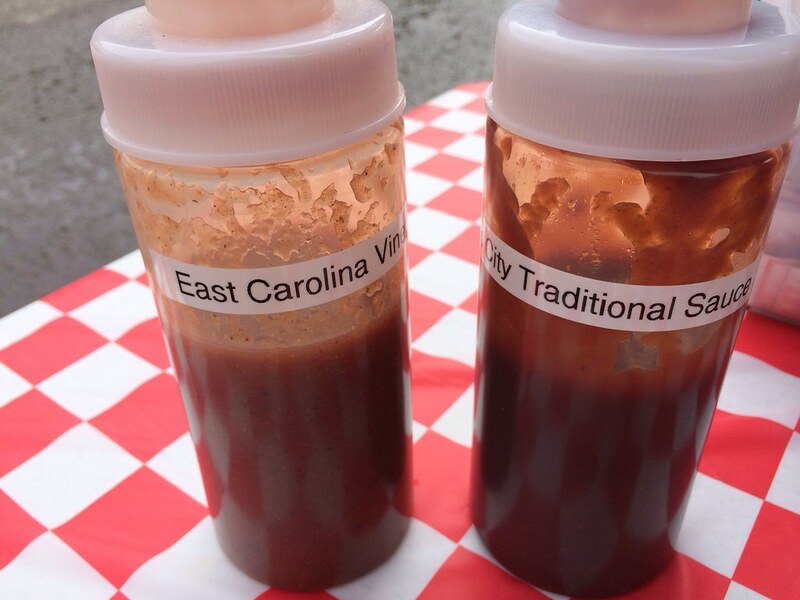 And two types of sauces are available - East Carolina Vinegar and Kansas City Traditional Sauce. 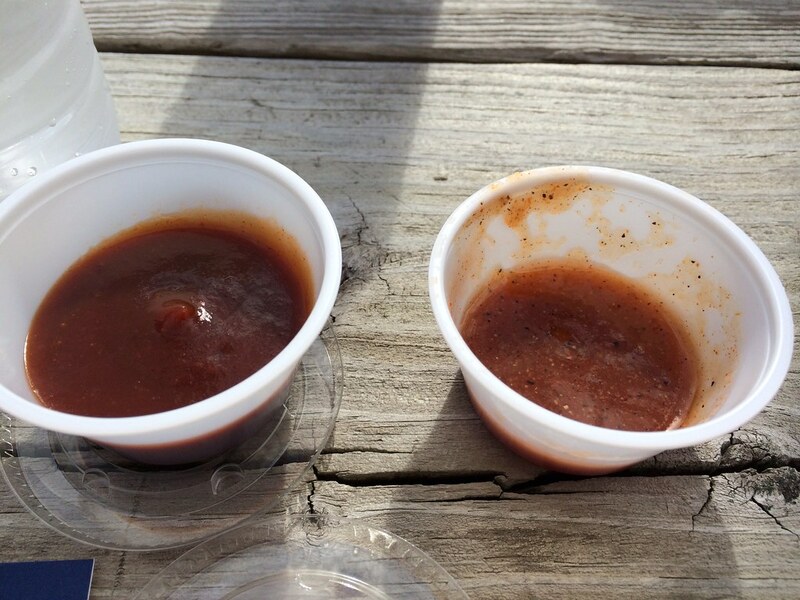 There are small cups with lids so you can get as much or as little as you want to take with you. I got a little of both and set off for the rail trail to sit at one of the tables. 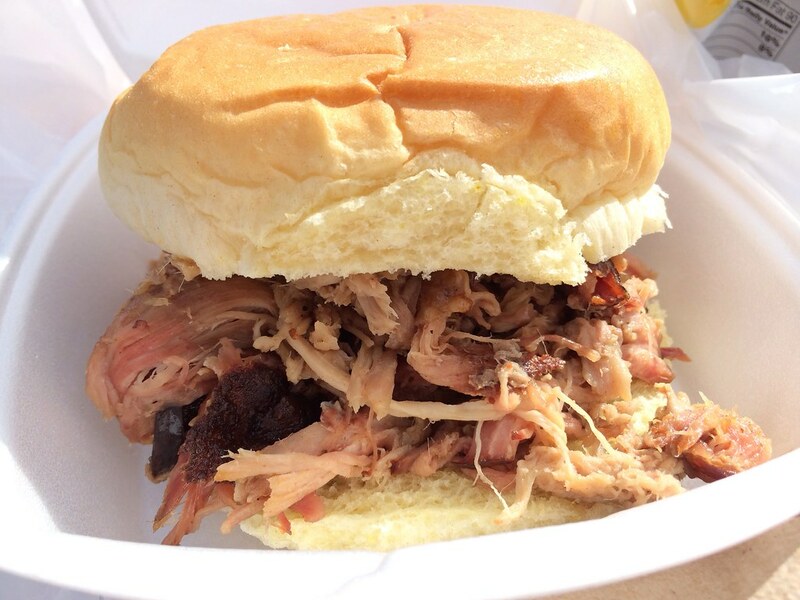 This is the best pulled pork sandwich I think I've ever had in town. And I'm not saying that because we are distant co-workers. I've only met him once. I'm saying that because I want you to go try it and compare. I don't know if it's because he has more time to put tender love and care into each sandwich, but it is great. 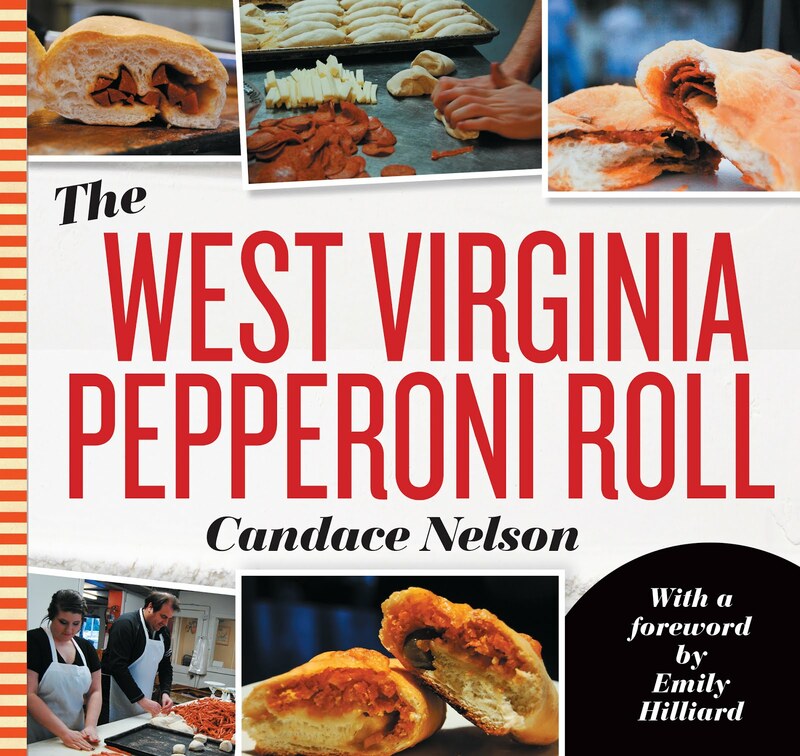 It is piled super high with tender pulled pork - smokey, flavorful. You can add whichever sauce you choose - I liked the thicker, sweet traditional sauce, but the vinegar is good too. I dipped large pieces of the sandwich in the sauces to get the tang and sweet, which was beautiful with the smokey flavor. Just divine. The slaw could have used some more something. It needs to be a bit creamier, less piecey. Chopped finer. But even then, it doesn't take away from the stellar sandwich.